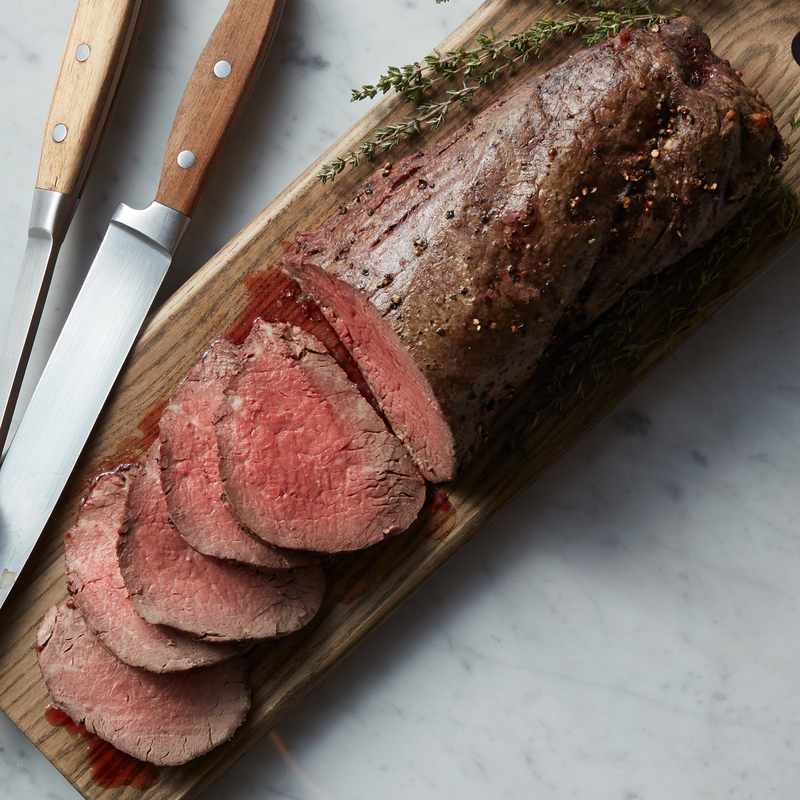 From the tenderloin comes this marvelous, mouthwatering roast that's perfect for making Chateaubriand. Cut to your own thickness of Filet Mignon, or even butterfly it. Preparation is surprisingly simple, making it perfect for a small dinner party. Famous for its mild flavor and extreme tenderness, our Beef Tenderloin Roast will be a hit for any occasion. 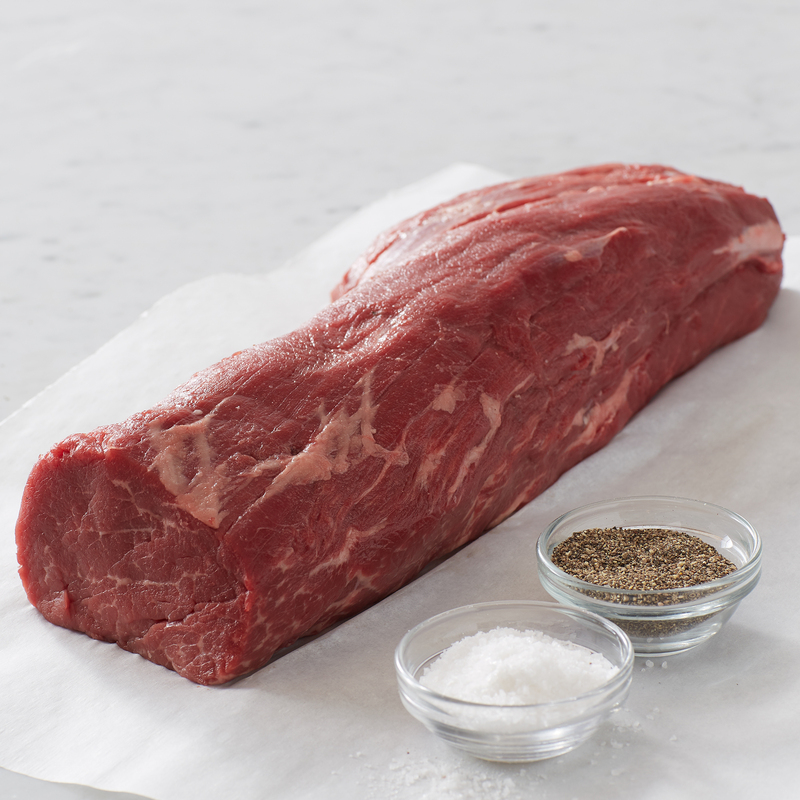 Like all our beef, it's naturally aged for up to 21 days to enhance flavor and tenderness. It's individually vacuum sealed and then flash frozen to lock in all the delicious juices and flavor. Ships frozen raw.